Leaving aside the obviously false claim that this was a world exclusive as the news had been circulating for months on the Internet, this headline raises some very serious questions. There are issues about publicity at the arrest stage, matters concerning the blurring of distinctions between abuse and assault and complexities of belief, disbelief, trust and distrust. In this blog I shall focus only on the issues about publicity at the arrest stage. 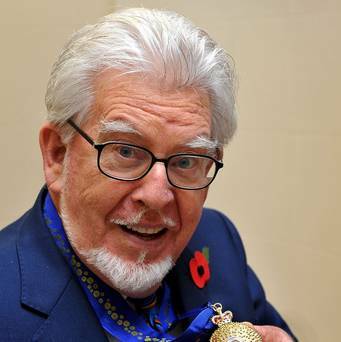 Rolf Harris was arrested as part of Operation Yewtree, a police investigation led by the Metropolitan Police Service into alleged sexual abuse, predominantly the abuse of children, by the BBC TV star Jimmy Savile (who died in 2011) and others. The investigation started in October 2012, following a scathing television documentary about Savile. After a period of assessment it became a full criminal investigation, involving inquiries into living people as well as Savile. The claims being investigated by Operation Yewtree were divided into three categories. The Rolf Harris claims fall into the third category – that is, they are in no way linked to the activities of Jimmy Savile. So, what are the issues surrounding publicity about this arrest? The primary question in relation to the public naming of someone who has been arrested but not charged with any offence, but especially with highly emotional offences like sexual assault and/or abuse, revolves around the nature of innocence and guilt. In British law there is a presumption of innocence until guilt is proven, but what does this mean in practical day-to-day realities? Although most of us carry around our own little private guilts, we remain completely innocent in a public or criminal sense. The main benefit of our public innocence is that we can live our everyday lives with a considerable degree of freedom and privacy. We can come and go from our homes, we can visit the shops or the library or the cinema, we can have friends visit or we can visit friends and all of these activities are unremarkable and unremarked. Public or criminal guilt on the other hand carries with it serious consequences. In addition to the sanctions the law might impose, like fines or imprisonment, the lives of the guilty become much less private. Their shame and humiliation becomes a matter of public record and they can become the object of public ridicule. They are often denied the chance to earn a living in the way they have become accustomed and their behaviour is often scrutinised by the police and other authorities. If they are celebrities of any kind their tiniest activities are monitored and commented upon by the media. This consequence of being found guilty of something is often more burdensome and damaging than the sanctions imposed by the judicial system. It is especially more burdensome and damaging for those completely innocent people associated with the guilty person - children, spouse, friends and neighbours. In this aspect it is completely immaterial whether Rolf Harris is innocent or guilty of the offence for which he has NOT at this time been charged. He has already been ridiculed and humiliated in the public media; his home was besieged by newspaper, radio and television journalists from around the world as well as by gawpers; his family, his friends and his neighbours have been harassed for comment and reaction. His TV programmes have already been pulled from broadcast schedules. This seems like a lot of negative consequences for an innocent man to be suffering. It is worth remembering that under Operation Yewtree at least one man, the writer Wilfred De’ath, has been arrested, released on bail and subsequently told there would be no charges to answer. De’ath accused the police of being over-zealous. If Rolf Harris is eventually charged and then found guilty of any criminal offence, it might be possible to argue that the consequences already being suffered, are deserved and justified -- but if he is not charged, or found innocent, these consequences cannot be erased – they will have left a crippling injury and an indelible stain on the life and psyche of an innocent man.